In the end, all the hard work you put into setting up and running the community should eventually pay off. You will want to monitor your actions and the results depending on the goals of your community. It is impossible to create a general set of metrics for all communities. They have such different goals that you cannot simply copy metrics from one community to the another and hope to measure the same things and gain the same insights. But studies do shows that there is one metric that’s important for almost all communities and that is the number of active users. You should start by measuring this value, and then comparing it to the number of registered users. In Open Social, an active user is defined as “a user that contributed to the community by either simply placing a comment or a like or by creating content like a blog, organizing an event or starting a group”. Most communities are work towards a shift from the relying on the community manager to post the majority of content and get members active to the community posting content on its own. It’s quite normal for community managers to be the most active in the first year, and this shifts towards members when your community enters a more mature phase. 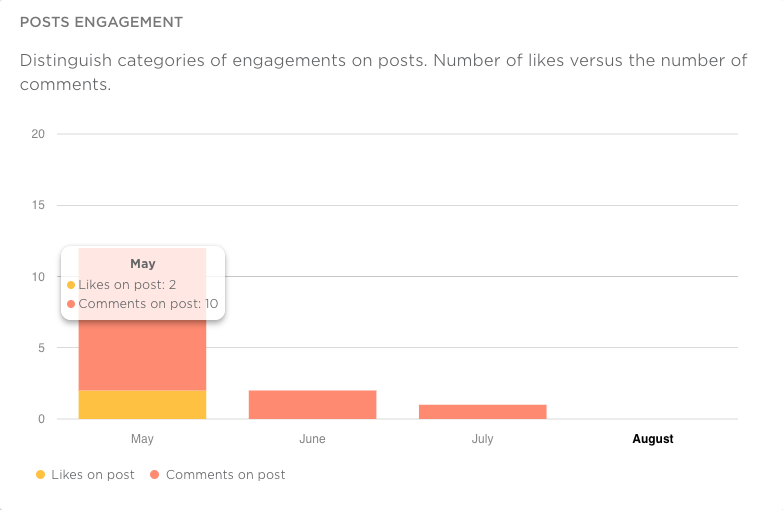 In Open Social, you can track the amount of content that is created by community managers vs. the community members, which gives you a great indication of how self-sustaining your community is. Try to spot your top contributors! This is vital for a healthy community. Look at who is most active in your platform. Reward them personally and also make sure they are recognizable by the entire community. But how do you spot them? Simple! Download and export data of all your users in the platform and count the amount of content they have created. Those creating the most content are you most active contributors! - 10% of the members are creating groups and organizing events, let’s call these the Leaders. - 30% are creating articles/posting messages, let's call these the creators. - 30% is a bit more passive and will just place likes and reactions, these are the reactors. - 30% will just be reading and scanning through the content in the platform. In the community world, there is an actual term for this type of users, namely Lurkers! Besides looking at your active users, looking deeper into your non-active users provides valuable insights as well. For example, you can measure the number of users that have registered but never came back (those are not even lurkers!). Or you can report on users that haven’t logged in for x amount of months. You can do many different things with this data. If the numbers are high, try to figure out what the reason for this might be. To lure them back in you can start sending community highlights via mail to let them know what they are missing out on. But you can also use these members to reach out to and try to understand why they are not coming back… of course, the chance that they respond to you is low, but it is worth a try. 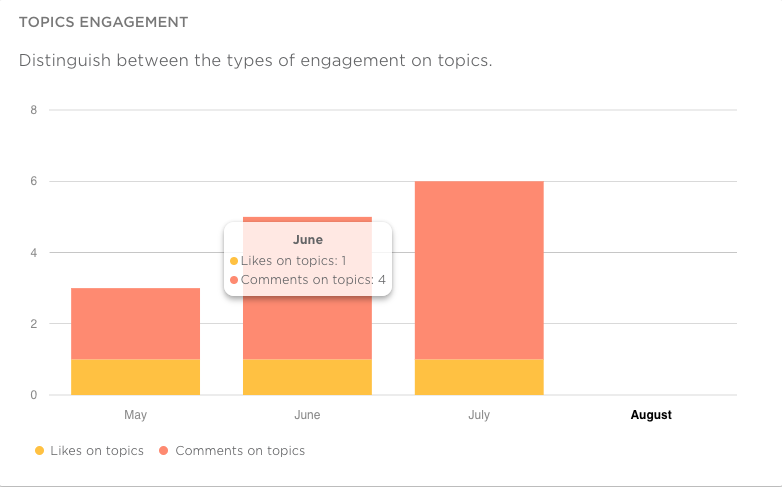 What’s also interesting to keep track of is the type of engagement that content receives in the community. Is your crowd mostly showing their appreciation by placing likes, or are they commenting on articles or messages? This way, you can see what kind of content preferences your members have. do they enjoy more blog posts? 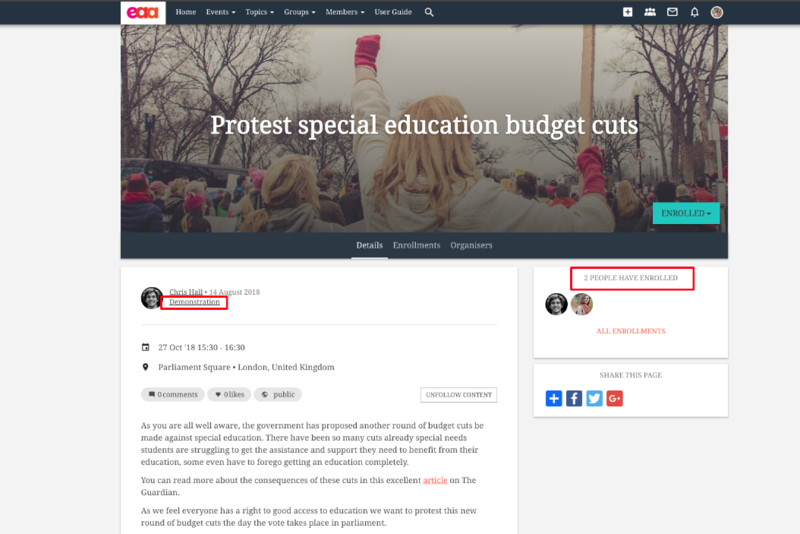 Then see if you can organize some member to contribute more to the blog. Or, depending on your result and your goals, you can also try to steer those numbers and try to get people to engage more with content than just liking it. If the main purpose of your platform is organizing events then the number of enrollments is important. Measure that! And see if it increases over time! 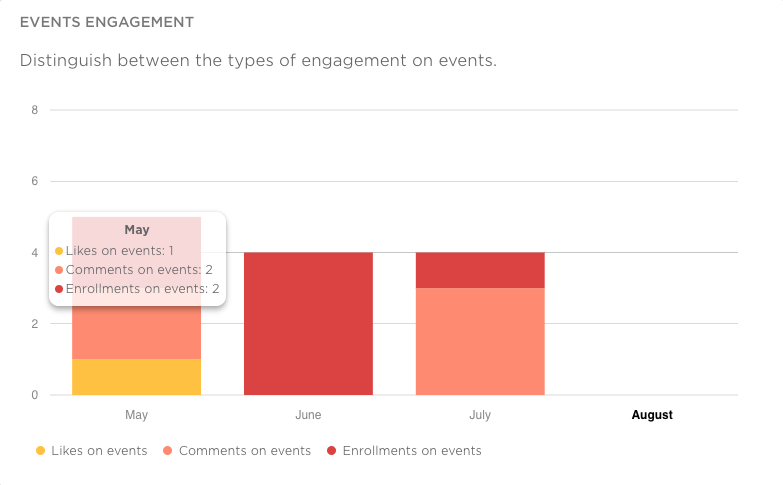 You can simply measure all the event enrollments on or look into the different event types and see if can you find which events usually have the most attendees. 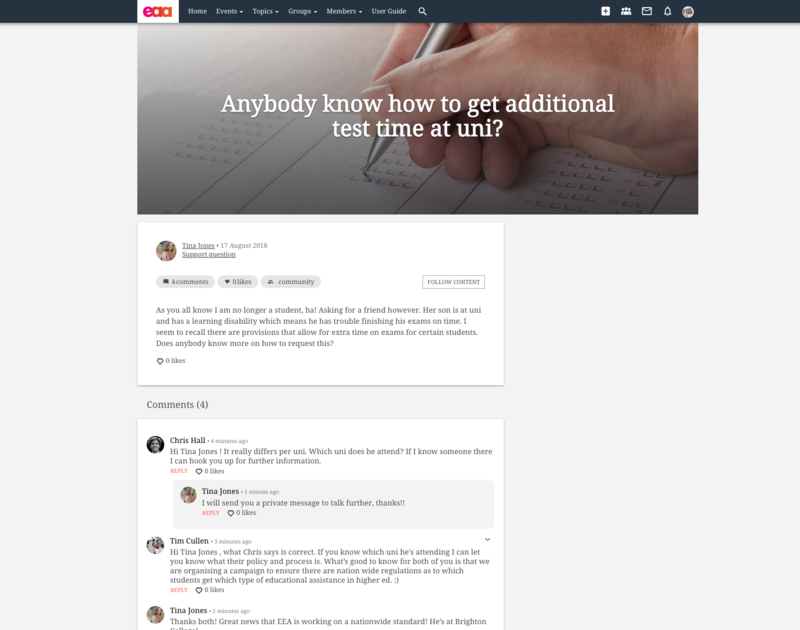 In communities where the main goal is to share knowledge and open up discussions, you might want to measure the length of the discussions threads and also the speed of the replies. The quicker the replies are placed, the more interesting or controversial a discussion topic might be. This can be valuable information, especially when you want to start new and interesting discussions. If you are running a support community where the goal is for the support questions to be handled by the community, then you should measure the number of questions that have answers. Measuring the quality of an answer might be hard, but you can at least measure the number of reactions. If your community mostly deals with groups, it’s best to look at the number of members in those groups. We suggest looking at which groups have the most members and which groups have the least amount of members. This is a great opportunity to see if you can combine groups with similar topics and few members because if you combine them, then activity might increase. Besides looking at groups that you can combine, it's always good to have an overview of which groups there are and their sizes. Is one growing faster than the other? Why is that? See if you can spot trends within the community. These are some of the important community metrics! Of course, there are many others but this will provide a good baseline for you to start using data to evaluate your community. And when you have an overview of all these different metrics, you can ask yourself: which goals and objectives have been reached? And how is the community’s health contributing to these goals?